Ram Account isn’t just for dining services or the emporium anymore. Students at University of Rhode Island can use their Ram Account at an ever-growing number of businesses off campus. 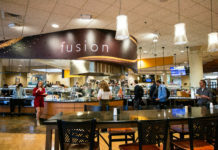 Director of Dining Services Steve Mello said the system was initially installed 20 years ago, starting small with just the dining halls and the bookstore. Over time, it expanded to businesses in the emporium and now many other businesses in town as well. 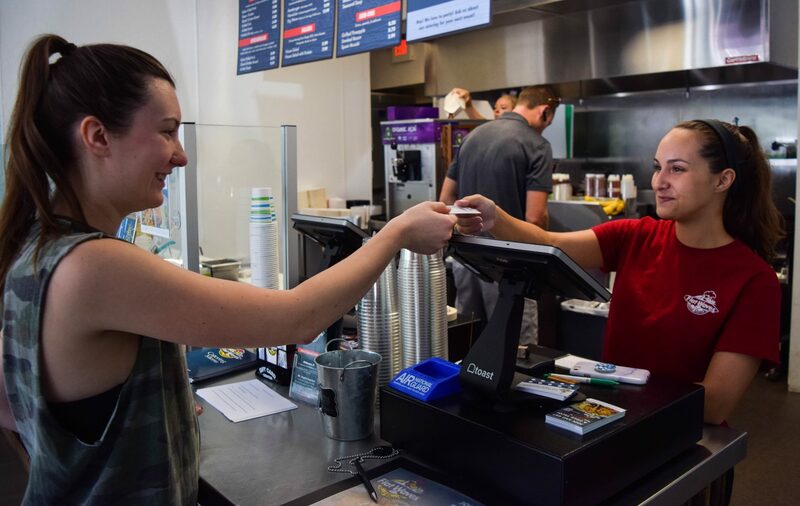 Restaurants and food providers such as Applebee’s, Five Guys, Moe’s Southwest Grill and all Kingston Pizza locations accept Ram Account, as well as all nearby CVS locations and certain checkout lines in Stop and Shop. Students can even use Ram Account to go bowling at Old Mountain Lanes in Kingston. With the expansion of Ram Account, businesses have been booming. Ram Account allows students to use their student ID to add discretionary funds. Students who live on-campus would be able to have their funds at their fingertips as long as they carried around their card. Funds can be added online through the online payment system or in person either at the housing and ID office in the Memorial Union. Students can also use cash at the card value port devices found in buildings such as the library and the Beaupre chemistry building. Using the dining services app, students can check their balances through the GET component, as well as the places that accept Ram Account. “You could leave your room with that card and have everything you need,” Mello said. The funds don’t just end at food, though. Students can use their cards for laundry, vending machines, special programs at Fascitelli gym and health services. Mello said at one point there was a copy card system through the library that students could buy. They could add money to the card but if they lost the card, they lost the money. Mello considered it an offline system, whereas the Ram Account is an online system. If you lose your student ID, you can report it lost and those funds would be protected. Once you receive a new card, you still have access to those funds, according to Mello. Funds don’t just stop at the end of every school year. They are rolled over year to year until you graduate. At that point, if you have money leftover on your card, you can request a refund, but there is an administrative fee. Mello said that dining services encourage students to use all of their funds before they graduate so the account is empty. 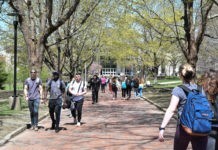 Off-campus has become a popular use for Ram Account. Places like Stop and Shop and Moe’s Southwest Grill have terminals that are linked to Ram Account. Students use their IDs as if it were a debit card. Only certain checkout registers accept Ram Account, however. “We provide a network with our one-card campus system that terminals could access these funds for payment service,” Mello said. Other businesses such as Uptown Burger, Bakery Café and Tilly’s have recently contacted dining services and requested a terminal linked to Ram Account. “It seems like every year we get new partners, which expands the service and that’s why it makes it very popular for down-the-line students,” Mello said. So how is it done? According to Mello, at one point, dining services used to use the system in-house with terminals and modems, but as word spread around to local businesses, the University switched over to the Seaboard System, a third-party system that makes it easier to afford more partners to join the Ram Account system. Be sure to always look for the Ram Account logo before making a purchase to use those funds.